Omega Pediatrics treats obesity and excess body weight as a disease and not as a character flaw, and regard the affected individuals and families with compassion and dignity. We believe the disease of obesity is at the heart of many chronic medical issues and that reversing the disease improves overall health. We have a family-based approach to intervening in obesity and excess weight management. Our providers have specialized training in the diagnosis and treatment of excess body weight and continue to update their knowledge in this evolving area of medicine. Childhood obesity is one of the most common nutritional disorders affecting children and adolescents worldwide. A child is affected by obesity if their body mass index (BMI) percentile is greater than 95 percent. There are many factors that contribute to this chronic disease, including lack of physical activity, family heredity, dietary patterns, and socioeconomic status. Today’s environment also plays a major role in shaping the eating habits of children, such as television commercials promoting unhealthy foods. The growing use of smartphones and computers, increased time staying indoors, and decreased physical education in schools all contribute to a more sedentary lifestyle among children. According to studies, genetics plays a role in obesity. Children with parents affected by obesity are more likely to develop the condition as well. However, genes don’t always dictate whether a child is affected by excess weight. Learned behaviors from parents are also a major contributor. Children’s dietary patterns and the average amount of calories consumed per day have dramatically changed over the last decade. The prevalence of “all you can eat” and “super size” food options create a trend in overeating. Lower-income children can’t always afford to join in extracurricular activities, resulting in a decrease in physical activity. In addition, families who struggle to pay bills often opt for unhealthy foods, which are higher in calories, fat, and sugar. Diet therapy – Consultation with a nutritionist may help children understand healthy eating habits and how to implement them into their diet plans. Physical activity – Increasing physical activity can help reduce the fatty tissues in children with obesity. Children should get at least 60 minutes of physical activity each day. 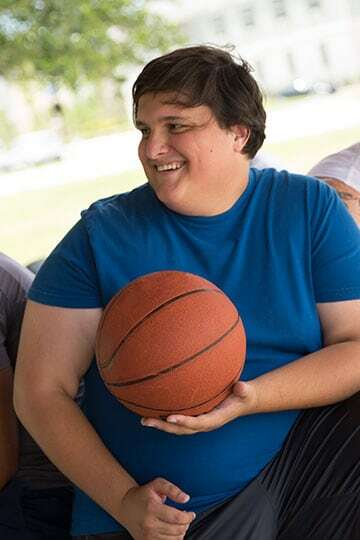 Change of behavior – Obese children can start developing a healthy habit by changing their diets, increasing physical activity, engaging in a support group or extracurricular activity, and setting realistic weight management goals. Surgery –- This is only considered for children with severe medical conditions that can only be improved by surgery.